Rights group SELDA (Samahan ng Ex-Detainees Laban sa Detensyon at Aresto) demanded the release of a political prisoner who is now in a critical condition at the Jose R. Reyes Memorial Medical Center in Manila after he had a stroke. SELDA chairperson Marie Hilao-Enriquez identified the political prisoner as Oscar Belleza, a 56-year-old peasant leader from Samar and is detained at the Manila City Jail for three years now. He was one of the co-accused in the multiple murder case in 2008 along with former Bayan Muna Rep. Satur Ocampo and Jose Ma. Sison for the alleged mass graves found in Leyte. Enriquez said Belleza was only transferred this morning at the JRRMMC after being unconscious and confined at the jail’s infirmary for three days. Attending doctors suspect possible brain hemorrhage. As of press time, he just regained consciousness and can speak a little. “We demand that Belleza be immediately released on humanitarian grounds. 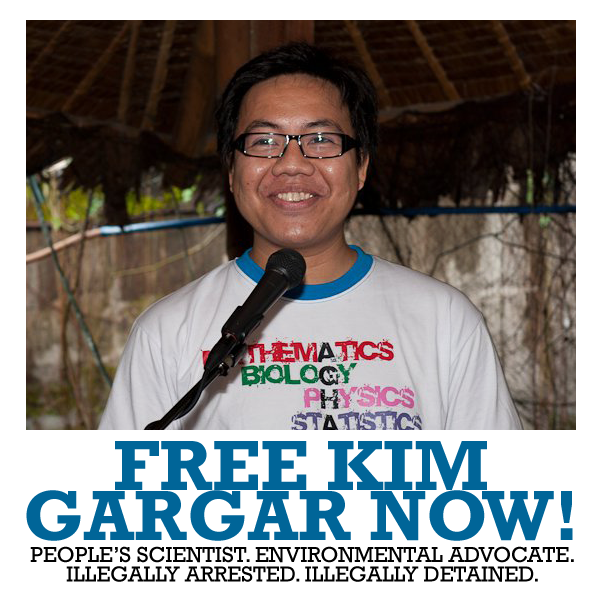 His condition does not give any justification for him to be brought back to jail,” Enriquez said. The group also demanded that the Bureau of Jail Management and Penology-Manila City Jail should shoulder the medical expenses for Belleza’s hospitalization. “Poor conditions in the jail, including the inadequate budget allotted for nutrition and healthcare services for prisoners, have aggravated Belleza’s condition,” Enriquez said. She added that political prisoners, like all prisoners in jail, suffer the same conditions. The government only spends three pesos per inmate for medical services, according to the group. “We cannot tolerate another loss of life. He was a victim of a trumped-up case because he fought for genuine land reform. He should be released before it’s too late.” Enriquez said. Enriquez mentioned the case of Crisanto Fat, a political prisoner in Negros Occidental, who died in 2011 after being in and out of the hospital due to a heart ailment. He was charged with illegal possession of firearms and illegal possession of explosives which, according to members of his family who witnessed his arrest, was all made up by the military.